Growing up in Africa, I have very early memories of drums going all night in the village half a mile away. I think this left a lasting impression on me. 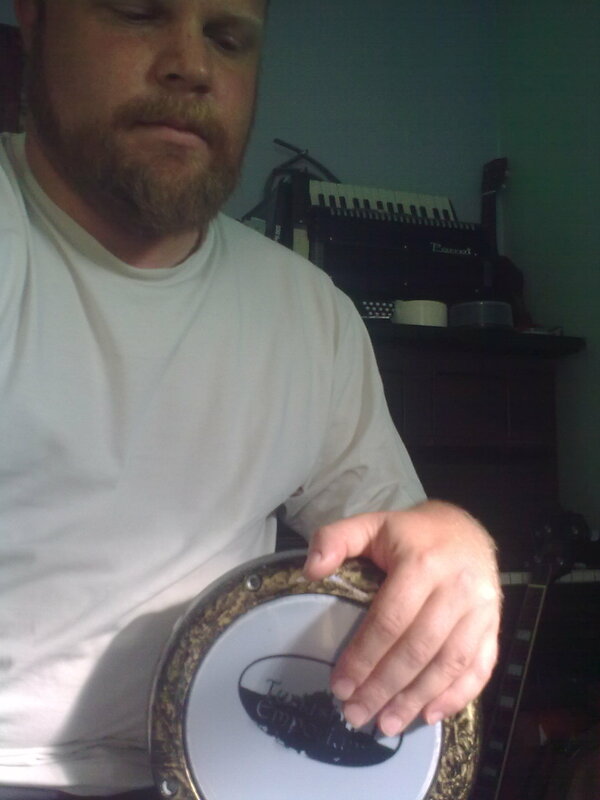 In spite of my African roots, my favourite drum to play is a goblet drum called the “Doumbek” or “Darbuka” which is of middle eastern/eurasian origin. A Small Doumbek is my weapon of choice. This week, I’m facilitating a drum circle/workshop at Harvest – a Christian Youth Festival in the northeast of England. It’s something I have just tumbled into that is getting a life of its own. I’m not a percussionist of any great ability or experience but I have found communal drumming to have very little to do with technique and everything to do with an openness to participate. I have been asked on several occasions to facilitate communal drumming and I guess I am developing an understanding of why this can be such a powerful experience for people. Drumming together teaches people without needing a didactic approach and I find that people take to it with very little instruction – the less the better. The concept is incredibly simple. I usually gather people in a circle and encourage them to choose from a selection of percussion instruments, finding something they feel comfortable with. Right from the outset, it is always noticeable how people’s choice reflects their personality and this is always an opportunity for me to get a feel for the make-up of the group; from the confident men who choose the biggest drum they can find to the more diminutive people who choose an egg shaker and hope they won’t be heard. There is always going to be at least one person in the group who is a far more accomplished drummer than me. This is always a relief because I know they will be able to carry things a bit. Facilitating the group is about letting the more confident individuals define the groove and make space for others to contribute around that. Drumming together is about listening to each other. The most exciting thing is to listen as the rhythm shifts organically as new strains arise and catch on. The group is self-regulating as it is simply not possible for one individual to show off and take over. Experienced beat technicians have to take their place alongside the noobs who are just trying to keep up and everyone is making a contribution. For me, a drumming group is like a microcosm of a community as it should be. Drumming together is a perfect way to have a conversation where everyone speaks at the same time, simultaneously listening and contributing. It is exhilirating and draws strangers together in a common experience. During the course of an hour session I tend to aim for about three episodes of drumming lasting up to about ten minutes each but letting it flow for as long as it needs to. Between each episode there is time to feedback, swap instruments, and encourage people. I use slower beats to get people listening to each other and growing in confidence and faster ones to create energy. I use hand signals during the session to do a little bit of direction, like getting sections to play more quietly or drop out and back in again but prefer to keep this to a minimum because the joy of a drum circle is the way that it feeds and directs itself through consensus. I always felt those Africans were having more fun than us, now I know why. The Psalm Drummers – a heart to drum. My Doumbek Playlist on YouTube.